Single shift use valved respirator offers protection against non-toxic solid and liquid aerosols, in concentration up to 4 x WEL (Workplace Exposure Limit). The mask benefits from a soft inner nose seal and a low profile valve. 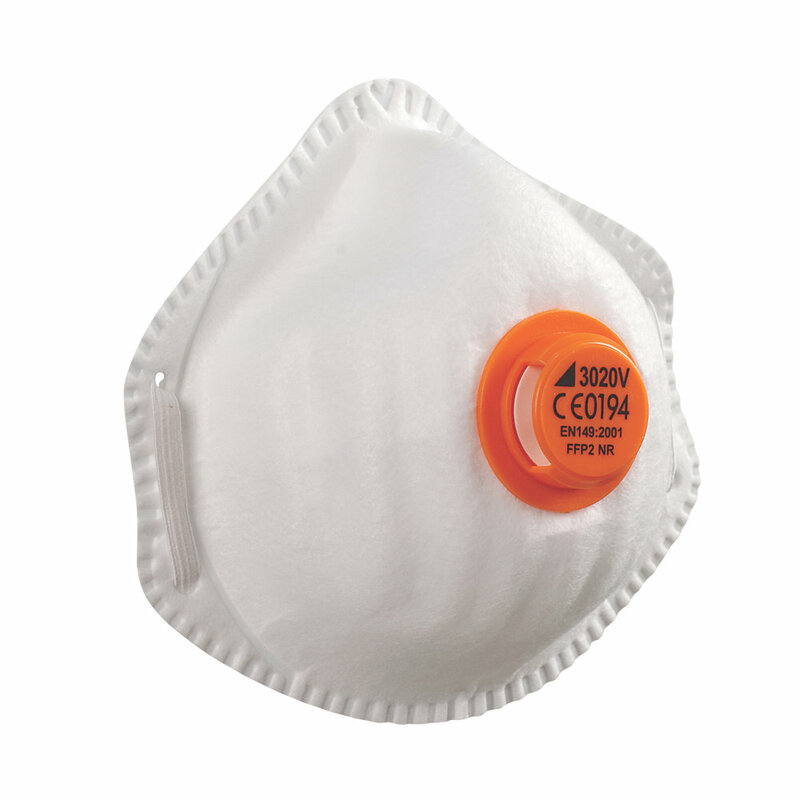 Alpha Solway 3020V Disposable Respirators FFP2 Valved conforms to EN 149:2001+A1:2009 FFP1 NR D.
NR - Non Reusable: Disposable FFP. Comfortable and durable throughout the whole shift.